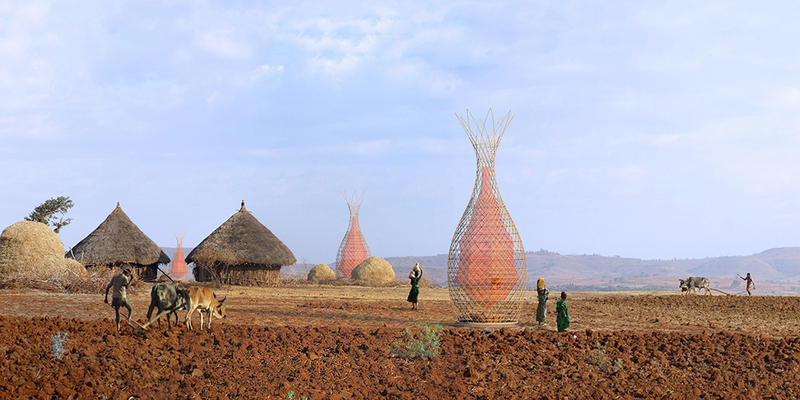 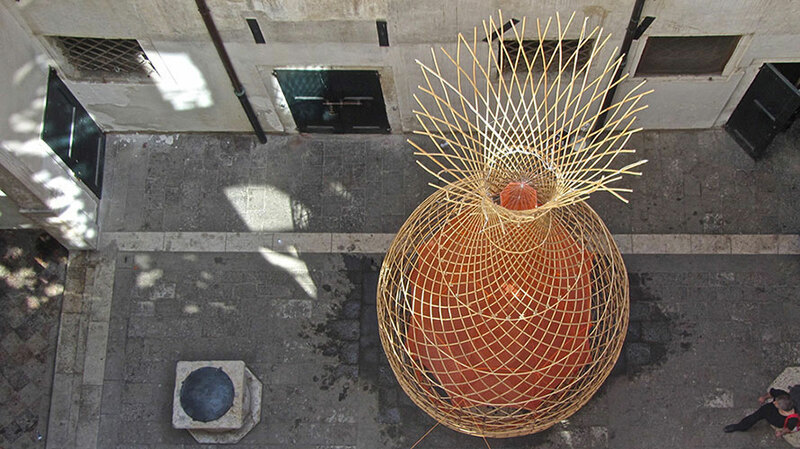 ‘WarkaWater’ which is harvesting potable water from the air and honors the disappearing Ethiopian warka trees. 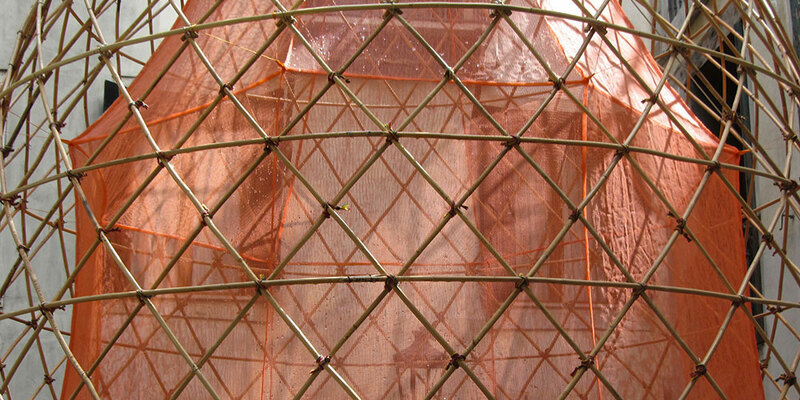 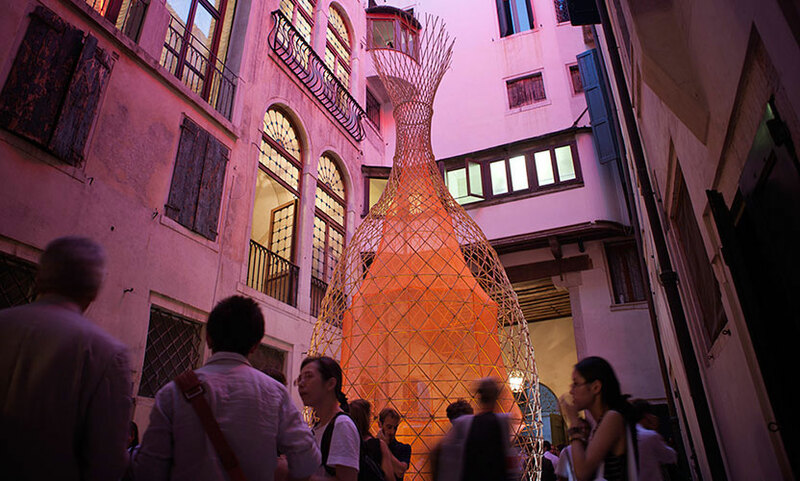 The 9 m tall bamboo framework has a special fabric hanging inside capable to collect potable water from the air by condensation. 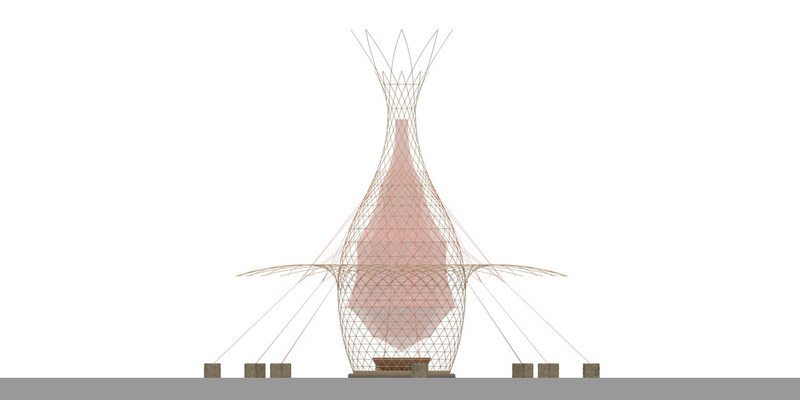 The lightweight structure is designed with parametric computing, but can be built with local skills and materials by the village inhabitants.